If you want to join our server then simply press the "Public Server" button in the main menu. Don't ask where it is. TerraFirmaCraft, created by Bioxx, is a complete rework of Minecraft survival. The world generation is very different from vanilla Minecraft, featuring a wide variety of environments, stone layers, and vegetation, and the technology tree is much richer, encompassing pottery, stone working, metallurgy and much more. This mod is designed to make Minecraft survival more challenging and complex, while still being fun to play. Enjoy! 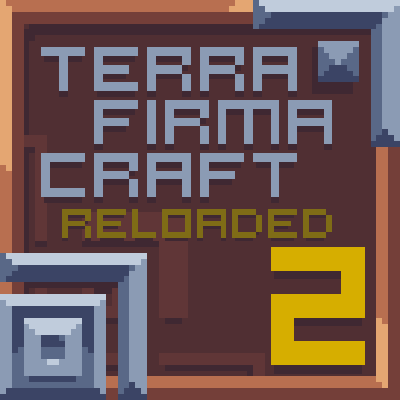 Interested in TerraFirmaCraft Reloaded 2 for Minecraft 1.12.2? You can get that version of the modpack on our Discord server, where you can then import it into the Twitch launcher afterwards! Have fun playing it, but remember, TFC for 1.12.2 is very far from complete! Find it in the #info-announcements channel. GuudeBouldefist aswell as Commodore Grayum have each created a Minecraft series playing my modpack. You should definitely go check out their TerraFirmaCraft Reloaded series, as it may explain some of your questions asked, and may even teach you how some things work. Hey LordPINE. Would you mind further explaining this? I can't seem to get it to work. I tried dragging the TFC Reloaded ZIP into MultiMC, in a 1.7.10 instance, with Forge 10.13.4.1558 installed, but none of the mods appear to be working. Also, when I try copying over the contents of the ZIP into the instance folder, the game crashes. Thank you! Sure thing. You need to use the create instance button, at which point you can select the option to import a pack. That's where you give it the zip, and it'll do the rest by itself. Hey! Grain is broken, you can't craft it with just wheat and a knife. Sorry if there's an oblivious fix; I couldn't find it. Hi, please read the wiki regarding the mod "Cooking With TFC". Alright, I tried reading the wiki thoroughly, and did find what I was doing wrong. I'm not a native speaker so I didn't know wheat/rye/barley strands could be called grain as well and had to be placed on the ground as they were. Have tech mods been readded to the pack? I was also reading in another comment some stuff with TC, have those comments been resolved? I'm looking for a TerraFirmaCraft modpack to start a new LP series with. The "Reforged" edition has some tech mods added, but that version is not yet fully complete. Some recipes and more are still to be added, removed or changed, hence why it's labelled as being an alpha build. The 1.12.2 version of the modpack has various tech mods, but you'll only be able to get that version through the Discord server. You can get the 1.12.2 version of the modpack from our Discord server. You'll have to import it manually for the time being. 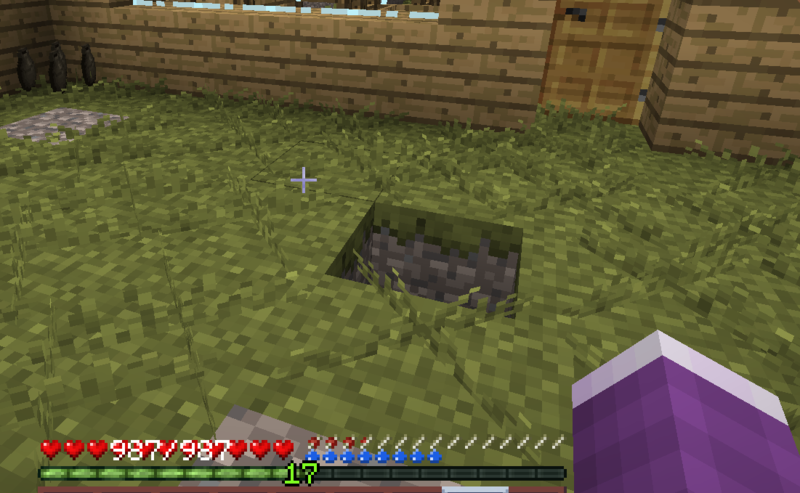 Hey so i love the Modpack btw but i just recently updated it because you put out the update with the ruins and stuff and i noticed that now all my grass has these little smaller grass bits on them. Heres a picture of them, all these little smaller what looks like short tall grasses. These werent here before and i was wondering how i remove them or get rid of them if possible. It makes stuff harder to see on the ground like ores and other items plus i imagine it would clear up some frames if these werent here. If you'd like to disable them, press "F8" to open the BetterFoliage/BetterLeaves&Grass menu. it is normal? or... bug or something? You aren't supposed be able to eat the Pam's Harvestcraft foods. oh then... can I delete it?